Camp Gilead is a year-round Christian Camp and Retreat Center that has served central Florida since 1938! We exist to glorify God by creating an atmosphere for individuals to evaluate their relationship with Christ and be challenged to make decisions resulting in changed lives. It is a safe place filled with opportunities to be challenged both physically and spiritually while making lifelong friends. In fact, many return year after year because they cannot bear the thought of a summer without being a part of the action at camp, seeing their friends, and being spiritually refreshed. 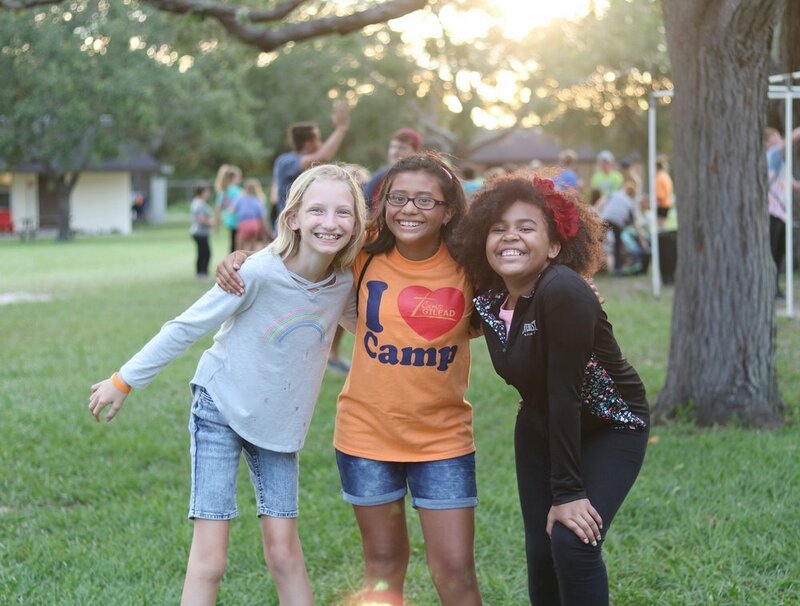 Whether you are an experienced camper or a first-timer, we think you will find the friendly atmosphere at Camp Gilead a uniquely wonderful experience. Each child's health and safety are top concerns. All activities are under the direction of trained Christian staff who live in cabins with campers. Trained first-aid personnel and certified lifeguards are also on duty. Camp Gilead carries secondary medical insurance on all campers and staff during their stay. All campers are insured while using transportation provided by Camp Gilead. Every precaution is taken for the well-being of campers, and camp staff work diligently to see that each camper has a wonderful week at camp. Summer Staff Information- Applications are Open! Learn more about our Service And Leadership Training program HERE. Churches can send their youth group and get a youth group rate. To register for a youth group discount, you must set up registration through the camp registrar by emailing campgilead.registrar@gmail.com or calling 863-984-1353. A $20 discount will be applied after a completed registration and deposit is received by the registrar on or before April 15th, 2019. Receive $20 off each sibling! Sign up for a second week of camp and receive 50% off that week.